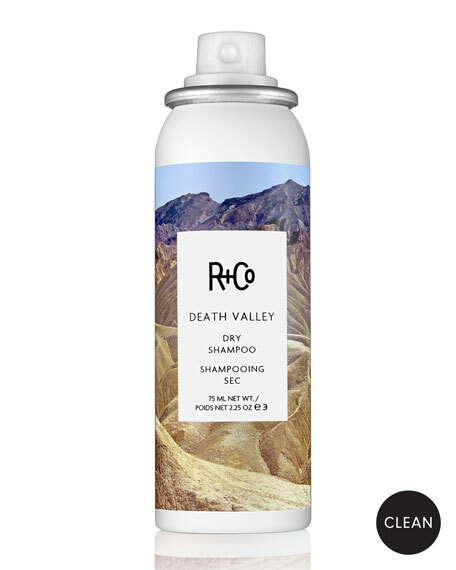 R+Co Death Valley Dry Shampoo Travel, 1.6 oz. 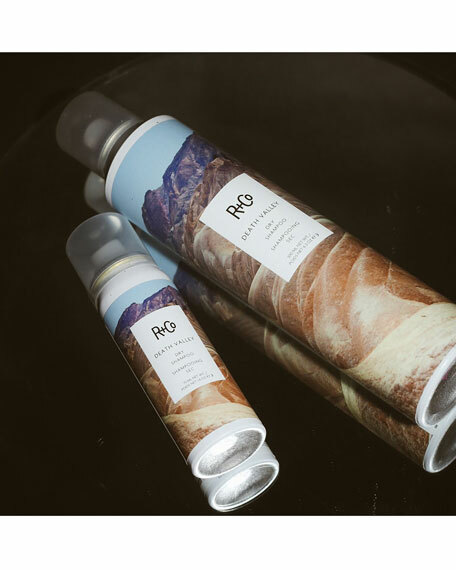 R+CoDeath Valley Dry Shampoo Travel, 1.6 oz. 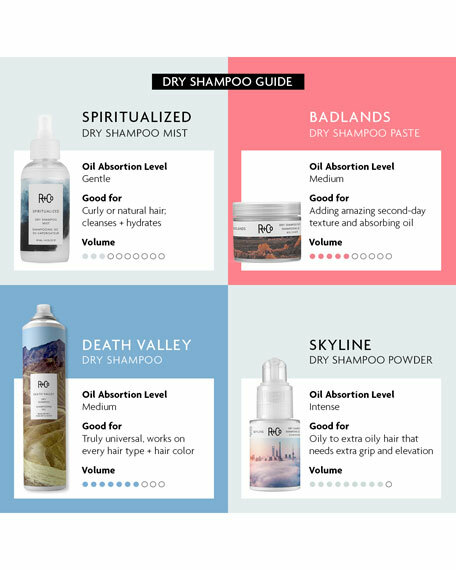 Not your granny's dry shampoo. Death Valley is the quickest way to get volume and body into your hair. Good for: Easy, big, messy hair. Rice Protein, sourced from Brazil, this protein moisturizes and improves hair's elasticity.